7000 school kids make awesome England’s One World Cup song! 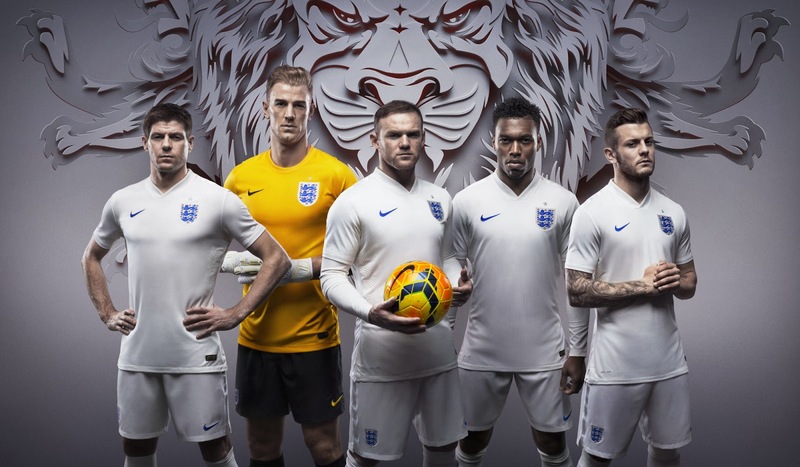 There’s a new World Cup song around and we think it could be the one to inspire England to win the 2014 World Cup in Brazil – and it’s all for charity! A whopping 7000 English nursery and schoolkids, aged from 6 months to 16 years, feature on England’s One by TheKidsAreUnited singing and playing kazoos! The song hopes to raise lots of cash for Cancer Research UK. The tune took five months to make with project leader Jasper Ward visiting schools all around the country. Jasper was a teacher but stopped teaching to help his mum battle cancer and to bring together the schools of England on this unique song! ‘It’s really cool because it could be on the TV. Also the fact that lots of different schools have taken part is great and we are glad that we’ve been chosen. We also liked having the props to use- the flags and kazoos were great!’ Poppy, aged 11. Download England’s One on iTunes here. 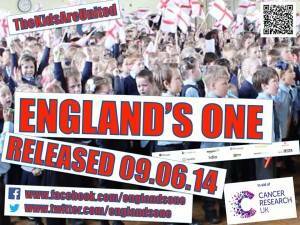 England’s One is out now and proceeds from sales go to Cancer Research. Do you think England can win the World Cup? Let us know in the comments below.